Just ME: Happy 6th birthday, Neat and Tangled! Happy 6th birthday, Neat and Tangled! August is Neat and Tangled's birthday month! To celebrate, there are mini blog hops going on every day this week. AND, you don't have to wait until Friday to purchase the new goodies - they are in the store right now! There are also some big giveaways going on this week - check out the NT blog for all of those details. 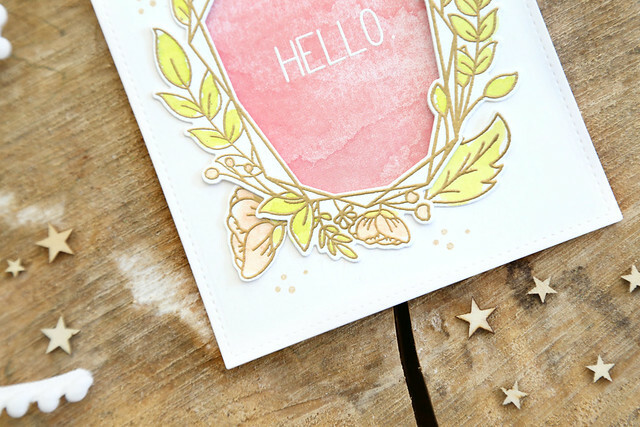 I designed Floral Frame so that I could have stamps for when my mom says: I need a grown-up card, please. haha. You can have the middle of the frame cut out or not, depending on your preference. And, there are extra florals that you can stamp and fit around the frame, if you want to have a fuller look. I am obsessed with this gift box that Miriam designed. Mostly because she designed a matching stamp set, Thanks So Much that features sentiments to fit on the front of the box, and lots of fun art-deco-ish touches. 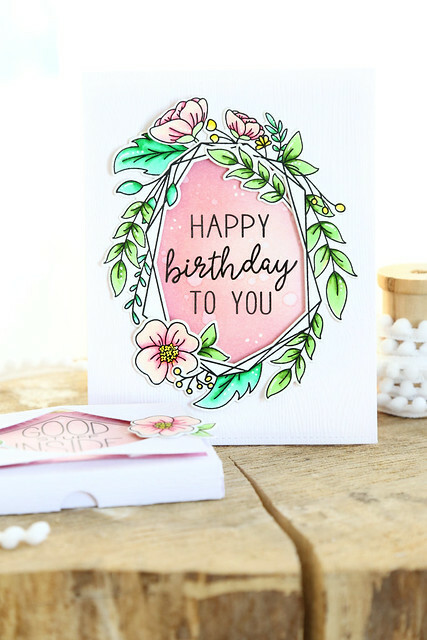 I added some of my florals so that it could match the birthday card. Instead of stamping the frame in black ink like I did for the first card, I gold heat-embossed it. I love both looks! I then did the simplest watercoloring, and fit it over a bright pink paper layer. I hope you like what you see so far! 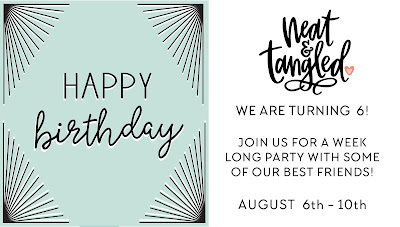 Be sure to celebrate with Neat and Tangled all week long! Wonderful cards and the gift card box. 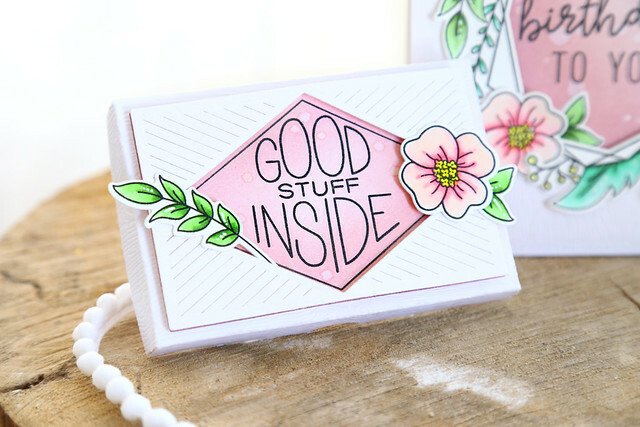 Your design of Floral Frame stamp is so lovely. Beautiful card. I think I’m going to like the gift box die. These florals are so sweet and are fab decoration for the box. Thanks for the inspiration. 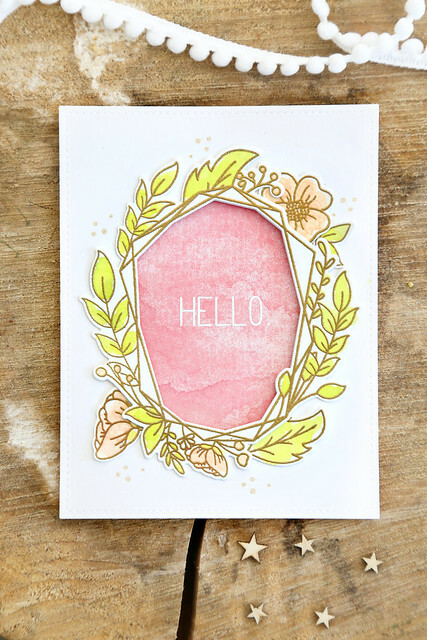 Love the Floral Frame with good embossing, great color choices! Gorgeous cards and box! 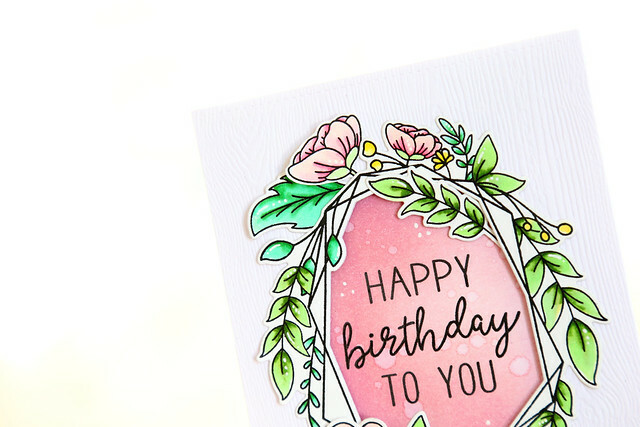 I love the Floral Frame design and your pretty color combos! I love the versatility of all of this month's elements--they work well for masculine and feminine. Great for birthdays or can be dressed up for the more formal, milestone occasions. Your projects are beautiful Elena. Beautiful projects! I love the stamps that you illustrate!! I am soooooo loving your floral frame design creations! The colors are really lovely! And the gift box is just so precious too! !